My guy isn’t much of a reader; in fact, this is one of the very few series of books he has ever read and enjoyed. If your guy is looking for a good read, and he hasn’t had the pleasure yet, get him hooked. This is a great book. Each chapter looks into a certain aspect of a wife’s life and offers a beautiful prayer and Scriptures to pray for her. You could also buy this one for yourself, and pray for your husband (or future husband!) too. We have a few of these at home. 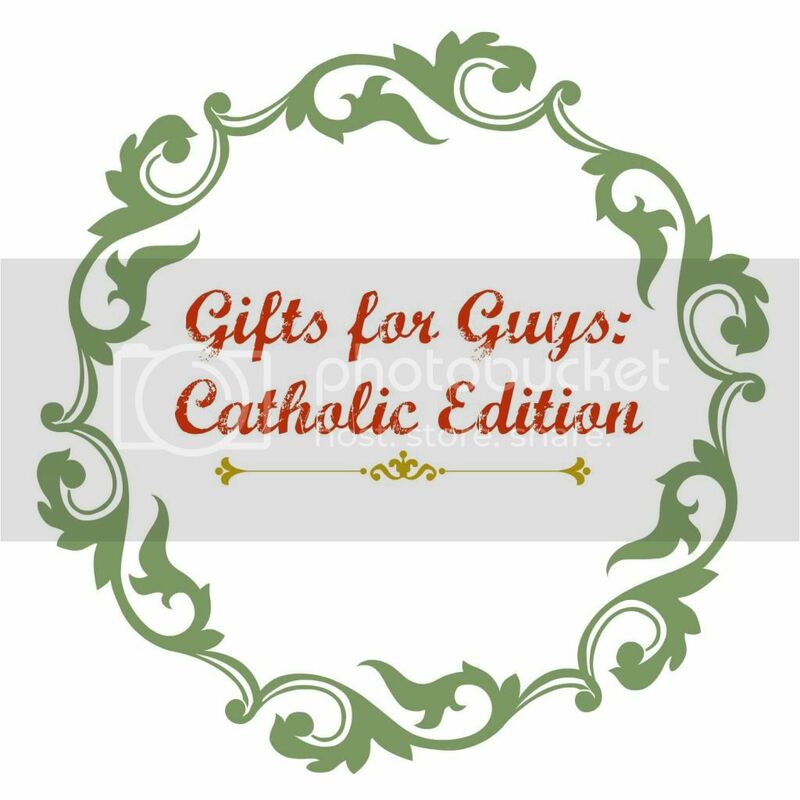 I have one in my car, and Mike and I each received one from the priest who married us. Our daughter now has one, and we will get one for our little one on the way. Why do we love these so much? They are comfortable (in case you, ahem, fall asleep on it while praying, ahem), durable, and for my husband, his is a manly blue. I love the one I linked too as well. It is very rustic looking. It makes a great stocking stuffer and a very thoughtful and powerful prayer. I know there has been some debate over whether St. Christopher is still the Patron Saint of travelers. In my book, he still is. So, I love that my husband keeps one of these in his car. A little extra protection for my speed racer. What are you buying for the men in your life this year? St. Joseph or St. Michael medal, statue or prayer cards are great. I have also given subscriptions to Give Us This Day daily prayer (mailed monthly) and “monk” food i.e. Subiaco hot sauce or peanut brittle made by the Benedictine monks of Subiaco Abbey. Oh I love that idea of “monk” food! I am looking those up right now 🙂 Thanks! YOUCat is under the tree this year for my husband. I like the knotted rosary, won’t break form being in pants pockets.